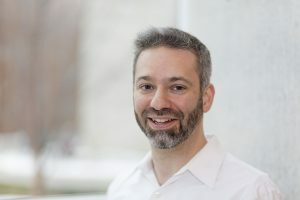 Michael Schutz is currently Associate Professor of Music Cognition/Percussion at McMaster University in Canada, where he conducts the percussion ensemble and teaches courses on music perception and cognition. Prior to McMaster, Michael spent five years as Director of Percussion Studies at Longwood University, taught percussion at Virginia Commonwealth University, and performed frequently with the Roanoke Symphony, Opera on the James, Oratorio Society of Virginia, and the Lynchburg Symphony. Active in the promotion of new music, Michael premiered internationally renowned composer Judith Shatin’s trio Time To Burn, and subsequently recorded this piece on a release from Innova Recordings. Invited solo performances include guest appearances with the University of California, University of Virginia Percussion Ensemble, Ontario and Virginia/DC “Day of Percussion,” Project:Percussion Festival, and the Alvin Lucier Festival. Since 2013 he has served on the percussion faculty of the Penn State Honors Music Institute. He earned a MM in Percussion from Northwestern University where he studied with Michael Burritt, and a BMA in from Penn State University where he studied with Dan Armstrong and Gifford Howarth.